Long distance running is a very taxing sport for most individuals who have tried it. For an average human, running even one kilometre is like a workout, and running five kilometres or ten kilometres may seem like an insurmountable task. And then, there are people who run marathons. These people have to train regularly and run long distances very often in order to gain such stamina. Such activity builds discipline and trains our body to utilize less energy in order to do more work. On the 23rd of July, 2018, the students of Ekya School ITPL had the privilege of meeting an individual who had passed the limits of running, that most would not dare to do. Mr. Taher Merchant was the first Indian man to complete the 60km Extreme Ultra – Everest Marathon. The marathon is the hardest stamina based running event in the Olympics, which spans 42.195 kilometres in length. Many fail to complete marathons, as they often get exhausted and famished. An Ultra Marathon is a running event where the distance is longer than 42 km, these can go up to hundred km in length and are the most gruelling running events in the world. These require years and years of training and dedication to even complete. The Everest Extreme Ultra Marathon is no simple task. It is the world’s highest ultra-running event, and it is a perilous journey that begins from the Everest base camp and ends at Namche Bazar, situated in Nepal. This is no mere marathon. It is an extremely adventurous ultra running event, where the participants have to cross rocky terrain, steep inclines and run across icy landscapes. This involved trekking, running and climbing. Moreover, the entire event is self-dependent, which means that all contestants have to bring their own food and drink to fuel themselves throughout the event. There were high chances of death, and the odds were against everyone. Mr. Merchant showed us how to pursue our most ambitious dreams successfully using his accomplishment as an example. 1 – Eliminate all distractions. Mr. Merchant told us about the struggles he had to go through in order to train for and complete the ultra marathon. He told us that he was already a long distance runner before he heard of the event. He had secretly been training for the marathon for some time, and then he decided to disclose it later so that his family and his coach would not try to demotivate him from going for the event. He knew what would happen if he broke the news early so he kept mum about the event until it was the right time to do so. 2 – Have a schedule. Mr. Merchant had to manage his job and also train for three entire months. He set up a schedule and worked exactly based on that. He would wake up at 3:00 am to start his training, finishing by 9:00 am in order to go to work. Mr. Merchant had to mentally prepare himself for the run, and he needed to plan out his marathon carefully before doing anything that would compromise his situation. The temperatures at Everest reached -5 degrees centigrade, and the elevation of 5,356 meters made this a much harder task. You wouldn’t be able to move even ten steps without having to take a breath, due to low oxygen percentage in the air. At a point, Merchant had to decide whether he should stay in a lodge or continue his journey. Although this costed him four hours of time, he was able to finish the marathon without collapsing or fainting. This educated us in taking calculated risks. A few seconds can end up costing you an entire year’s worth of training. Merchant’s decision gave him the energy he needed to finish the perilous run. Without it, he might not have finished the marathon. And so, on May 30th, 2018, Merchant became the first Indian to finish the Everest Extreme Ultra Marathon 19 hours, 15 minutes and 10 seconds. He had accomplished a feat of endurance no other Indian had matched yet. Taher Merchant is a great inspiration for all of us, and he has shown us that discipline, dedication and smart work can take you a long way. He showed us what good ethics and learning can get you in life. He has shown us his “experience of a lifetime”, and we as students hope to accomplish something equally as great in the future. 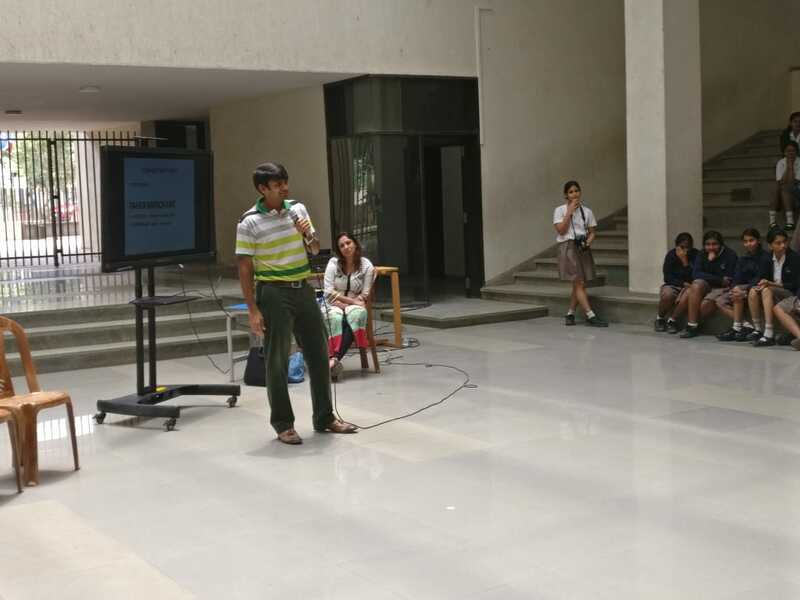 Read how students from Ekya School ITPL raised Rs. 30,000 to fund eye-surgeries through their service-learning programme. 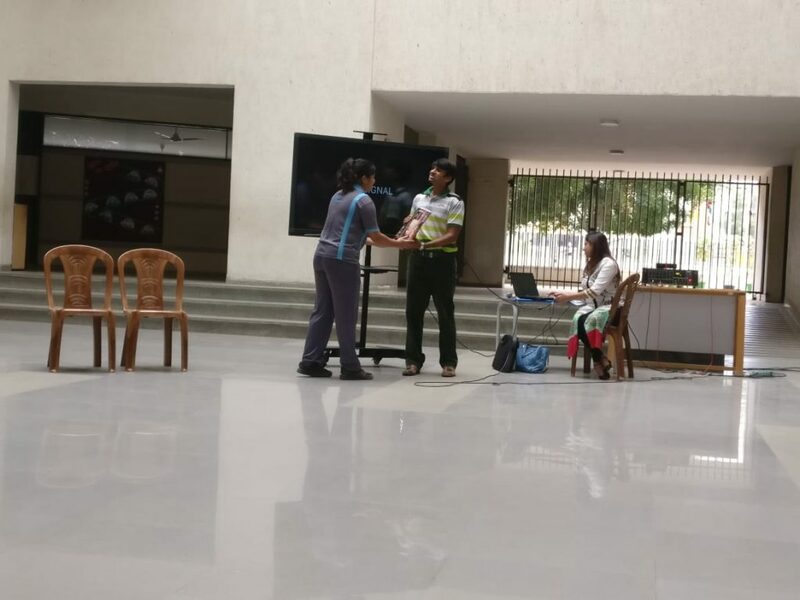 Read more about how Ekya students raised civic awareness at Ekya School JP Nagar. 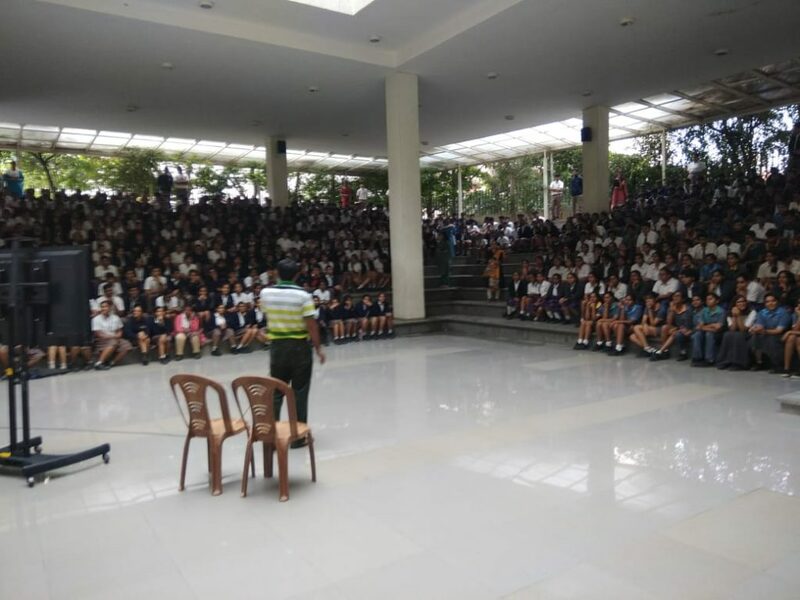 Know how students of Ekya School ITPL raised awareness on traffic and its ill-effects at one of the busiest parts of Bangalore city.